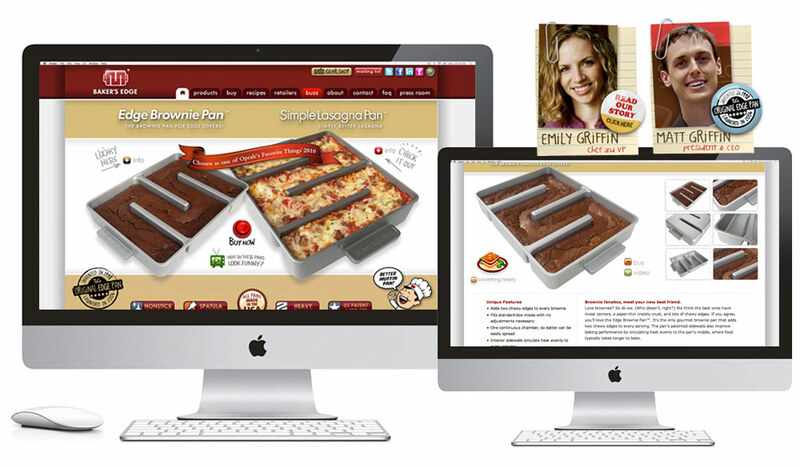 Baker’s Edge is a small company that has made a big splash in the bakeware industry. 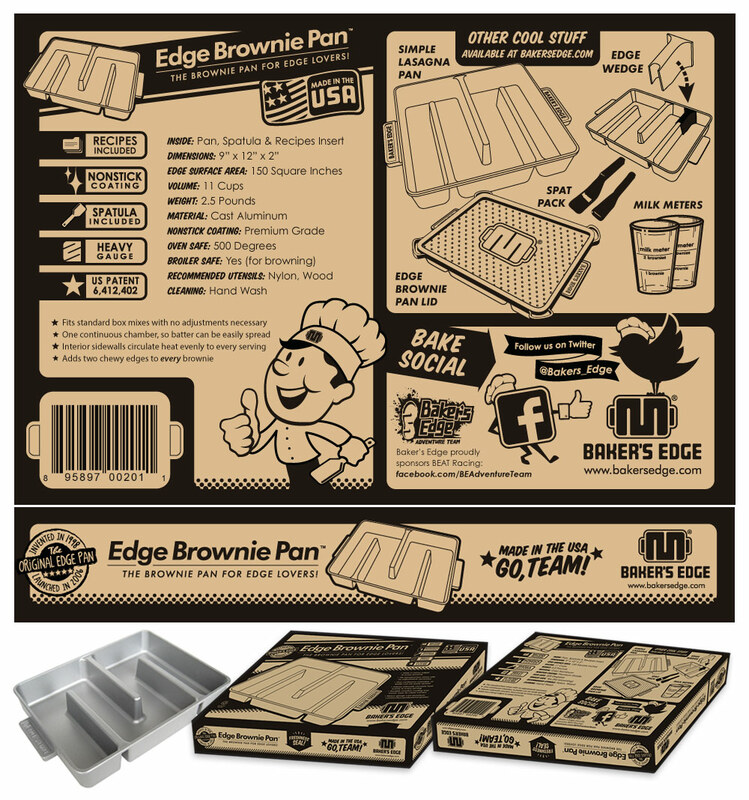 They’ve revolutionized brownies by creating the original Edge Brownie Pan with its interior walls that evenly heat n’ bake a soon-to-be perfect, flaky, chewy-edged batch o’ brownies. Our role was to convey the company’s fun, quirky, premium persona with creative graphics in their print collateral, packaging, website and animation. 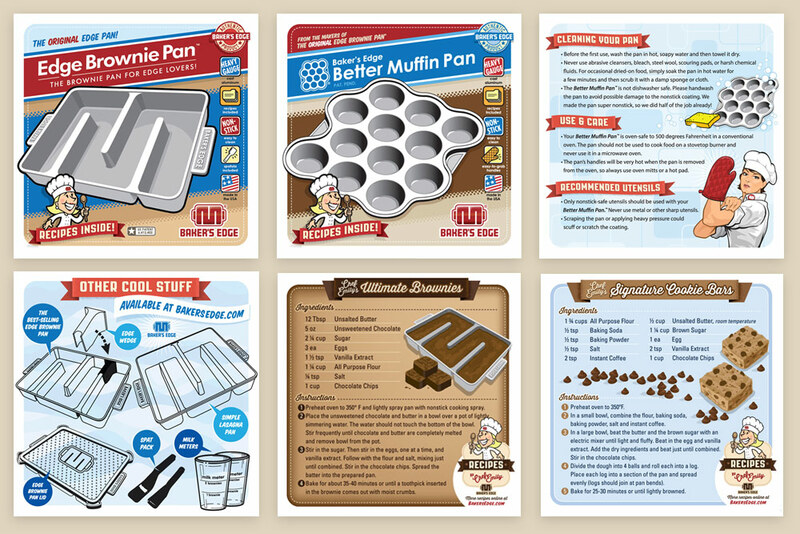 With each new Edge Brownie Pan or Better Muffin Pan, customers receive a 12-panel folded insert complete with custom-illustrated recipes and product specs. Above is just a handful of examples from the two 12×18″ inserts we designed. The beauty of each panel is that they can be separated and leveraged as social media content; the recipes are perfect for shareable Facebook fodder. The digital realm has been good to Baker’s Edge. Their website, which will soon feature a new facade by yours truly, keeps a simple but funky vibe and the illustrated/animated videos provide an entertaining delivery of explanatory info. Below are elements from the Flash animation. Even the packaging, with its basic black ink on cardboard, maintains a lively appearance packed with fun facts, product specs and little surprises hidden on tabs and folds. 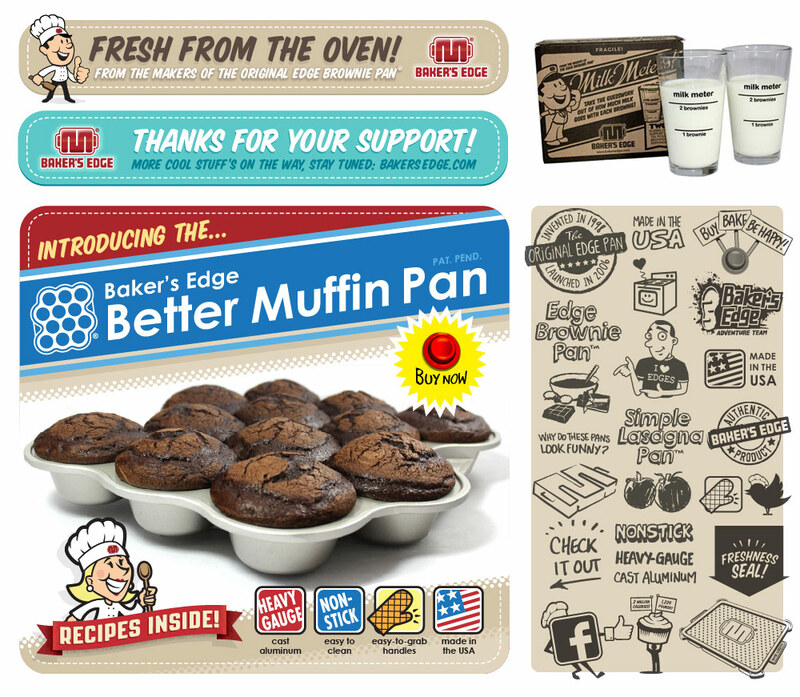 Over the years, Baker’s Edge has continued its appreciation of customers, both loyal and new, by creating memorable and smile-worthy interaction. The top notch bakeware would be enough to make a great impression, but they choose to give it a solid supporting cast of creativity to enhance the overall experience! 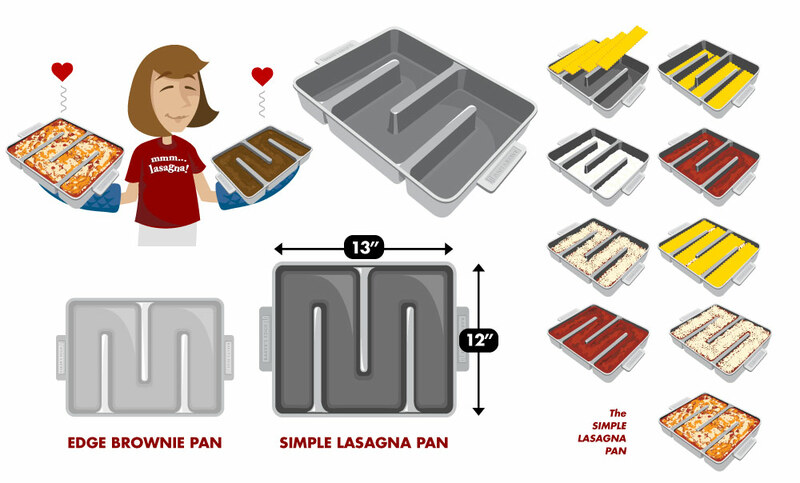 Go buy yourself an Edge Brownie Pan, a Simple Lasagna Pan or the hot new Better Muffin Pan. Tell ’em the Wilkinson Bros sent ya.